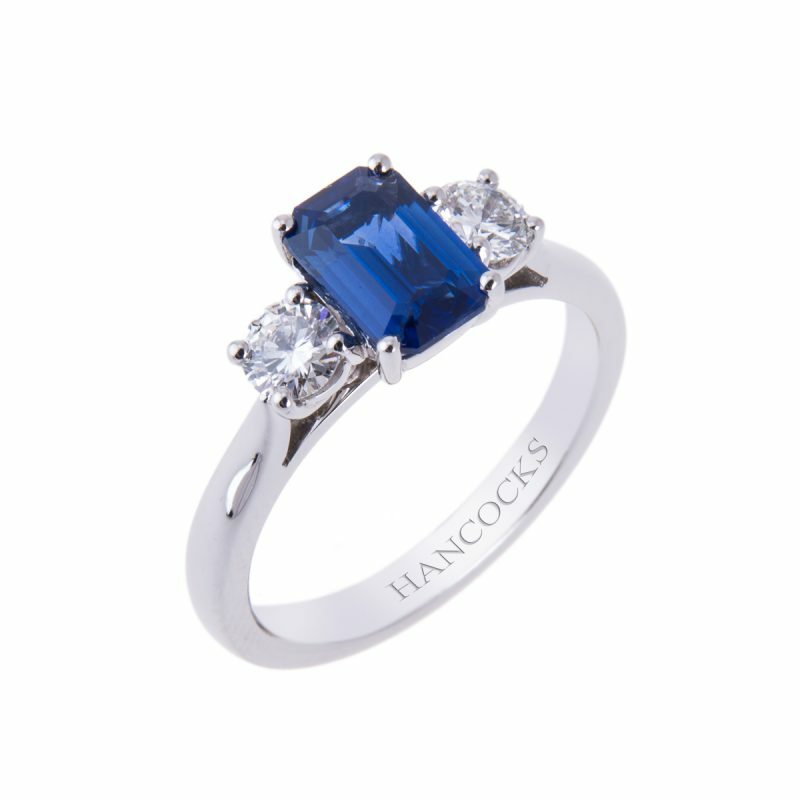 This striking sapphire and diamond three stone ring combines the sapphire blue of the endless sky among the diamond clouds. 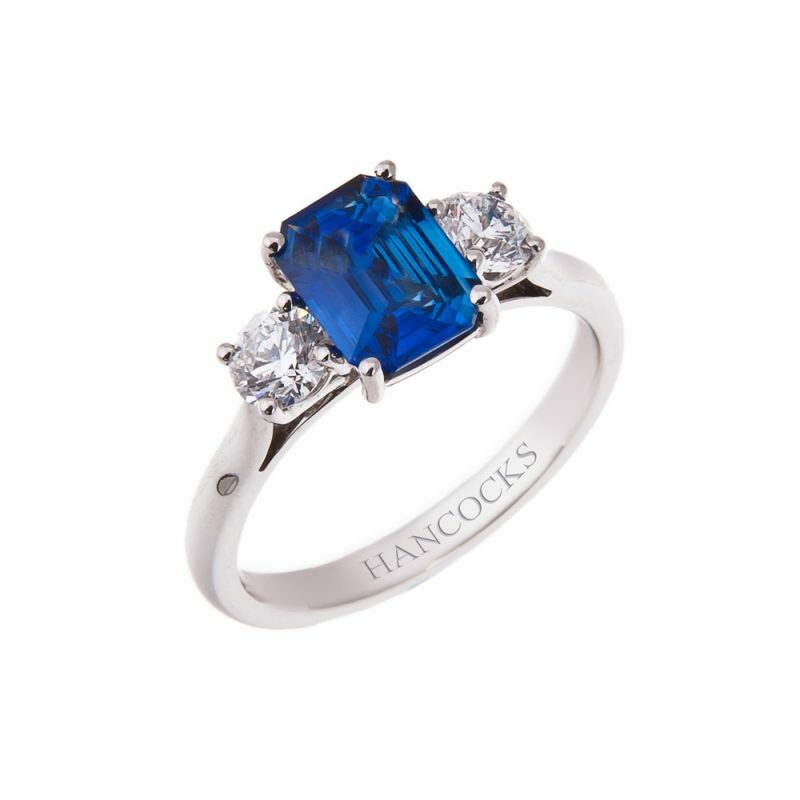 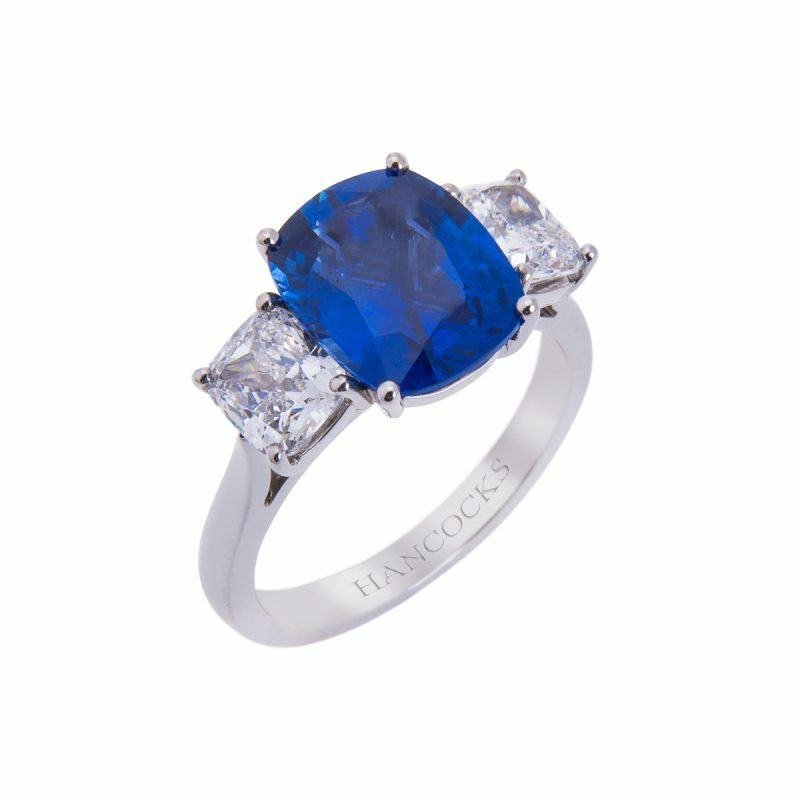 Mounted in a platinum 4-claw setting, the deep rich velvety colour of the sapphire is contrasted by the prisms of light from the brilliant cut diamond supporting stones. Timeless, yet contemporary design, that will simply take your breath away.